This talk introduces the pioneering retrospective exhibition Fantasy: Luis Chan (1905-1995), newly organised by the Zhi Art Museum in Chengdu. Often fondly called by his nickname ‘Uncle Fu’, Luis Chan is celebrated as Hong Kong’s ultimate modernist. Through the application of an in-depth, multi-level examination of Chan’s life and work, the exhibition opens up an unprecedented perspective and deeper insights into the history as well as the future path of Eastern art aesthetics. Zhi Art Museum is located at the foot of Laojun Mountain, in Xinjin county, 30 km from Chengdu. Its extraordinary architecture was designed by famed Japanese architect Kengo Kuma to blend in with the surrounding scenery, based on the Eastern philosophy of learning from nature. The VI system of the museum is designed by Kenya Hara. 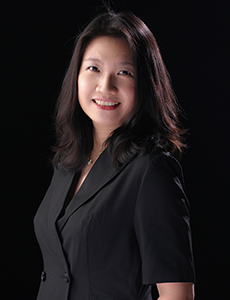 Ms Valerie Wang Conghui is the Director of Zhi Art Museum and has set a distinctive direction for the art museum: contextualised within the language of international contemporary art, Zhi Art Museum investigates the past, present and future of Eastern art aesthetics. The museum’s core concept is based on the three principles of Universality, Insight and Innovation. She also values public education, organising a wide range of outreach programmes such as academic salons and workshops for the general public. An art library will be opened in the museum next year.